Those who led the way, are acknowledged here. These are the ones who could see far ahead and persisted with collecting and documenting, often in the face of public disinterest and governmental unhelpfulness. They devoted their whole lives to this singular interest which in part – perhaps – fulfilled some deep-seated personal need. They also recognised the potential for enduring public benefit. Not recorded here are the many professional collectors (mostly curators, apart from Charles Bean) who, despite having also made significant contributions to our aeronautical heritage, were ultimately functioning as salaried employees (doing what they were/are expected to do). Harold – as he was known to most – completed his apprenticeship with Kingsford Smith’s Australian National Airways, later becoming an instructor at the Sydney Technical College. The interest shown pre-WWII in his collection of aero engines convinced him there were many others like himself who found these fine examples of engineering well worth saving. The acquisition of a complete aircraft in 1961 sparked off the idea of an aviation museum where historical aero engines and aircraft could be displayed for public viewing, enjoyment and education. The then Department of Civil Aviation showed interest and approval, and in 1963 half a hanger (later expanding to one and a half) was made available at Camden Airport, west of Sydney. In 1979 a new 1600 m2 museum building was erected at 11 Stewart Street, Harrington Park, Narellan (N.S.W. )and the collection moved to this location, with all exhibits undercover. Harold was also a long-time member of the Royal Aeronautical Society (Australian Division). The Camden Aviation Museum collection is now administered by a Trust. While employed as the Queensland Museum’s Librarian (1961- 1996) Ted assembled Australia’s most comprehensive – and significant – aviation heritage collection (now known as the Thomas Macleod Queensland Aviation Collection). Thankfully, his friend and colleague, Vynette Holliday, has also penned for us a very detailed and revealing summary of Ted’s life (see http://raceisrun.typepad.com/files/epw-bio-comp-secure-2.pdf ). Photographed 2008 for ABC Radio National’s Background Briefing. 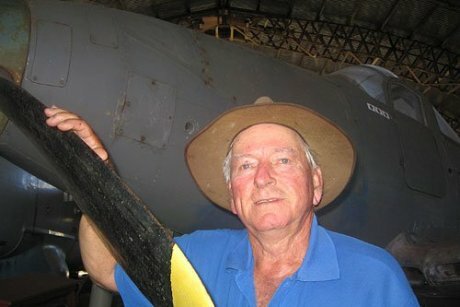 A poultry farmer originally from Mundingburra in Townsville, Queensland, Syd’s collection of mostly salvaged military aircraft which he referred to as the Townsville Aero Museum, was first displayed in the mid-1970s in a former 4th Air Depot (USAAF) hangar which he’d bought for $1. 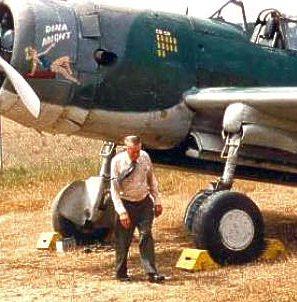 Suburban expansion subsequently forced him to relocate both his museum hangar, its collection and his poultry business to Mareeba on the Atherton Tablelands where it eventually reopened as the Beck Aviation and Military Museum. Syd was interviewed in 2008 for Radio Nationals (ABC) Background Briefing program, Lost Planes, Lost Men. The following letters written by Syd between 1974 and 1975 afford some additional, personal insights.